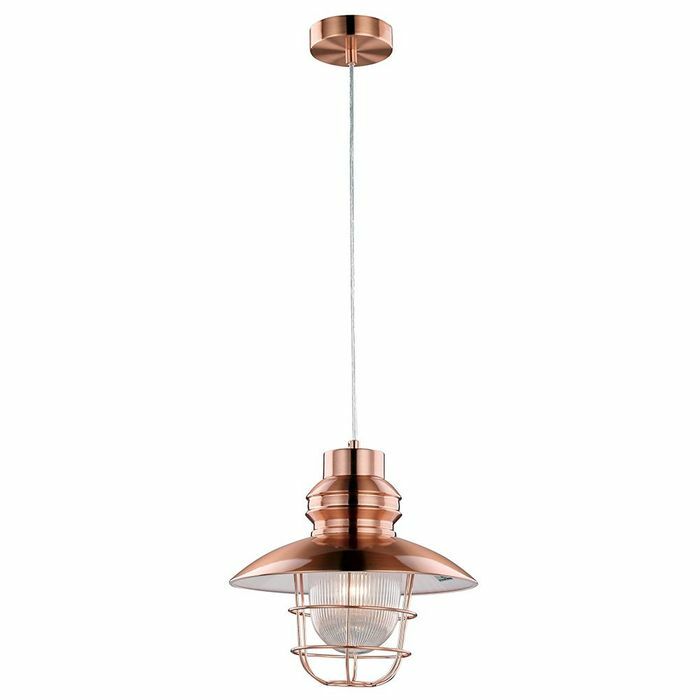 Industrial fisherman styled pendant ceiling light fitting in an antique copper plated finish. Features cage metal design covering a clear ribbed glass diffuser shade. Total product dimensions: Maximum height - 120cm, Diameter - 28cm. The height can be adjusted at the point of installation only. Requires 1 x maximum 60w ES (E27) bulb. LED and low energy bulbs may be used if desired. Complete with 1 year electrical warranty. The fitting is suitable for dimming but bulb used must also must be dimmable. What do you think of this Happyhomewares deal?